Work for Zillow Premier Agent? At the beginning it all sounds very pretty. Specially when the sales rep is constantly calling you to let you know there is space for you in the zipcode you want. It all starts to go downhill from there when all theleads you get think they are speaking to the listing agent of the property they were looking at. The worst part is you start to realize your sales rep isn’t available for your frustrations and if you ask for the manager she will also avoid the calls! Zillow Premier has only added to my problems on a monthly basis since they won’t cancel the 6 month contract they make you sign ripping your bank account with bogus leads! I enjoyed working with my sales assistant, his name was Rory Goldstein. He was always accommodating when I asked to make changes to the zip codes that I was advertising in. The fact that I spent $1300 a month, equivalent to my mortgage payment in San Diego, CA to be sent bogus leads! Majority of the people inquiring were asking about homes that were already sold, weren't even on the market or were for sale by owner. Try Realtor.Com instead. I'm paying $210 for leads per month (a fraction of what I paid with Zillow). I made a sale within the first month of signing up with Realtor.Com! There's a Concierge available to help you if you can't get to the phone when a lead comes through. The problem is that you have to spend a lot of time asking preliminary questions. The most recent lead I got from Zillow showed up as "I'm interested in selling my home." I called the lead back & it turns out that he's working with another agent whose not familiar with the area. He was asking for my expertise because he had just put in a bid on a foreclosure property. Very misleading! "Terrible customer service, bogus leads"
They used to be more customer service oriented a few months back. Not sure when things started to change but now they could care less about you or how much money you spend with them. Avoid going under contract as it's truly not worth it. The customer service is terrible, no matter how much money you spend per month. Most of the leads are horrible, out of 40 you'd be lucky to actually qualify 2. Do not. Unless you're in an area with low to no competition and can actually get a return on investment. But keep in mind that they're making a lot of changes to make it harder on Realtors on the customer-service end of things. None really. You spend a ton of money per lead depending on the zip code, and about 99% of those leads you will not be able to convert. I advise you do not go under their 6-month contract as they've made a lot of changes to make it impossible for you to be able to walk away even if they under-perform. Premier agent connects you quickly with leads, calling you directly, or sending an email/text/notification. Connecting to someone that inquires instantly gives us a greater chance of converting the lead to a serious buyer. I also like that can we change zip codes depending on what is available, and what we want to spend. I do not like the concierge program, I think some leads were lost because having an "assistant" text/speak with the lead. I removed from this program quite quickly. If you are looking for more leads, I would highly recommend Premier Agent. You are able to invest as little or as much as you want. Lead generation has greatly increased, as has conversion. In one year, we have realized a 43% return on investment, which is absolutely huge in real estate. No other marketing source has net us such a ROI. "Disappointed as my customers reviews do not post automatically, after numerous attempts"
Disappointed as my customers reviews do not post automatically, after numerous attempts they have tried. It is unfair business practice on Zillow's part, as I have spoken to other agents who indicated that if you do not pay and sign up for Zillow Premier agent, your customers reviews most likely will not be posted to your profile page. No benefits and no resolution as of yet. Disappointed as my customers reviews do not post automatically, after numerous attempts they have tried. It is unfair business practice on Zillow's part, as I have spoken to other agents who indicated that if you do not pay and sign up for Zillow Premier agent, your customers reviews most likely will not be posted to your profile page. I like that I get notified when I receive a new lead. I also really like the concierge service, as I am not always able to call the lead right away. I don’t like that concierge will set an appt for you to talk to a client without your consent. I’ve had appts set for times Im not available and that makes me look bad. I also have failed to receive notifications of my appts in the past, but that seems to have been resolved recently. Ability to manage leads and capture them more effectively as clients. The concierge is honestly the greatest help! Absolutely not one darn thing do I like the best. The leads I received were never vetted. I got people who were really not interested in buying anything, they just wanted to know what the "catch" was on properties that were listed quite low. Don't use this if you have other options. My customer service rep, Nas Zahir, was really nice and helpful. 95% of these “leads” aren’t legitimate leads. Most of the time, these people either have an agent and lie by saying they aren’t working with an agent, so you waste your time with them. They just want you to answer questions and aren’t serious about buying. You pay hundreds and maybe even thousands a month just to have someone waste your time and money. None. Literally none. The problem was that I signed a 6 month contract and wasted money. Once the 6 month contract was done is when the problem was solved. "Very convenient and easy to use"
Getting in touch with leads quickly is a must in this business and utilizing this platform to the fullest cuts that time down by a lot. I would recommend all realtors who utilize Zillow or Trulia to get this and implement it in their business. There really isn't anything that stands out as a dislike at this time. I would highly recommend Zillow Contact Management. In this business you have to be able to connect with leads quickly and regularly and this platform makes that as easy as it can get. It is easy to keep track of all the clients that come through and manage them in an efficient way that has really helped our business flourish. If you are on Zillow as a professional I would highly recommend taking advantage of this tool to help your business grow like it has mine. This platform helps solve the problem of not getting in touch with potential clients quickly enough. If you don't get in touch and stay in touch with leads consistently and quickly chances are high they will go somewhere else and this platform, I have realized, has solved much of that problem. Of course there are people who are just toying around online and aren't truly interested in Real Estate that will never follow up with you, but this platform greatly helps staying in touch with them and organizing the potential each one has. "Excellent Product and Helps your Listing Stand Out! " Very intuitive and easy to use! Videos uploaded well onto the app from the field, even when there wasnt great service. There were a few times that the video did not fully upload, and instead of it being saved locally it got completely deleted. It really improves the performance of your listing. Listing performance is a numbers game and this gets more people to see it. Posting photo and video content directly onto our company's zillow listings. This great increased the performance of these listings, which resulted in successful sales, increased revenue etc. Anyone can reach out and message a real estate agent if they are interested in finding a home. Great to make connections. Most of the leads we get are not serious. Information transferred from MLS is not usually correct. It's time consuming to go back and edit a listing and 90% of the time it says there was an Error after editing. We have to keep up with zillow because so many possible clients use it. Another outlet to have our listings advertised. It gets you some exposure and a fair amount of leads. The leads tend to be people who seem to be accidentally inquiring or just aren't serious. My company paid for this, but I wouldn't pay too much out of pocket for this. It probably great if you're in an area where most people contact the listing agent. It kind of solves the problem of lead generation, but like I said the quality of leads isn't great. "Good option and nice app"
Ties into Zillow/Trulia's other services/produces. Haven't used it for much follow up, doesn't seem to be a great option for follow up. Lead flow with Zillow leads, routing them to other agents. "Get leads from the place everyone is looking for homes. " Zillow is the main place people do their home searching, so it makes a ton of sense to go to them for real estate leads. Since it is the place everyone looks at homes, you get a lot of people who aren't looking very seriously, as well as a lot of competition from other agents on Zillow. Call your leads super quick, and try to treat as customer service, not sales. We have worked with many clients through zillow and those clients have referred me to others. Simple, easy to use and very user friendly. Zillow offers 24/7 support which is very convenient. There aren't many features to premier agent as other 3rd part CRM's i've used in the past. There are many benefits to enrolling in Premier Agent. I've worked with several buyer clients through Premier Agent, but the conversion ratio i've seen hasn't been what was described. It is great for getting leads and filtering what they are looking at and coming from. I do not have much experience with this, but it seems to be okay. "Great tool to get leads generated automatically "
"Ease of use and great organization in a fast paced industry"
Being able to quicky call people, helps efficiency. Easy to you for any realtors, mostly in the bay area. Everything is very easy. There really isn't anything that stands out as a dislike at this time. With the fast paced environment of San Francisco, it is nice to have a tool that is so easy to use and you can get in touch with your clients quickly because the housing market moves so quickly and you need to stay on top of what you are doing or you could lose a sale. "Zillow is ok I guess." Zillow is great for consumers. Terrible for Agents, their contact management platform isn't useful unless you use zillow to capture leads. Everything. Zestimates are the worst. They give the buyers and sellers a skewed perception of the market trends. 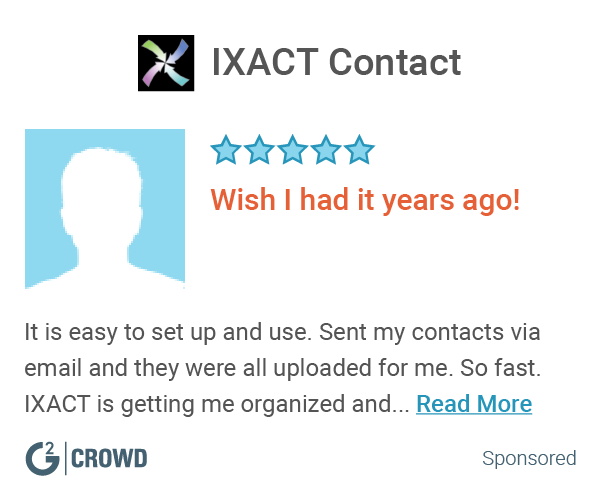 The contact management platform is ok, but not worth it. Zillow contact management platform is not worth it. Don't like the email features, very basic and not as nice as some otheres. I don't have to write everything down by hand and I can go back and refer to my notes. Plus I can see how other colleagues are interacting with the clients. I like the ability to be one of the first three agents to pop up when potential clients are looking online for properties. The benefit never did outweigh the cost. I was able to get my face in front of many potential clients. Although, I never received any benefit from being a premier agent. "Great way to explore new business!" This is a great tool to get your info out to the public and have live communications with interested leads. There are very few limits to this program! This program is worth the money and time to invest! I really like the communication within this program to leads and clients. The information accuracy highly important. I like the user friendly interface Zillow has both for mobile and desktop. I can't think of anything we dislike about Zillow. Most of our clients use Zillow, so it is easy to show them, and update our properties through Zillow Premier Agent. Easy to set up your profile and receive reviews from past clients. The lead generation is not very strong. Do not fall for their leads selling sale-pitch. Learning about Zillow Premier Agent? * We monitor all Zillow Premier Agent reviews to prevent fraudulent reviews and keep review quality high. We do not post reviews by company employees or direct competitors. Validated reviews require the user to submit a screenshot of the product containing their user ID, in order to verify a user is an actual user of the product. Hi there! Are you looking to implement a solution like Zillow Premier?